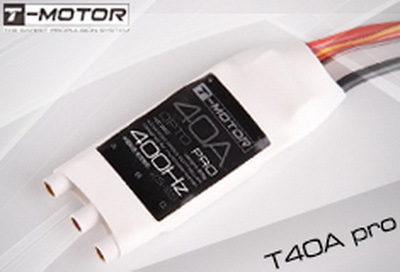 T-series pro ESC has the best performance, it is the super-class product for RC airplane and helicopter and multiroto-copter. 1 Output: Continuous 40A, burst 60A up to 10 seconds. 2 Input Voltage: 2-6 cells lithium battery or 5-18 cells NiMH battery. 3 Refresh rate of the throttle signal: 50Hz to 432Hz.4Control Signal Transmission: Optical/electrical coupled system.5Max Speed: 210000rpm for 2 Poles BLM, 70000rpm for 6 poles BLM, 35000rpm for 12 poles BLM. (BLM = BrushLess Motor)6 Size: 59mm (L) * 27mm (W) * 12mm (H).7. Weight: 29g. 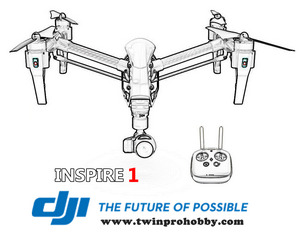 2.1 High performance microprocessor, best compatibility with all kinds of motors, highest driving efficiency.2.2 Three types of start mode: Normal / Soft / Very-Soft, compatible with aircraft and helicopter. 2.3 Smooth, linear, quick and precise throttle response.2.4 Multiple protection features: Low-voltage cut-off protection / Over-heat protection / Throttle signal loss protection.2.5 The throttle signal is transferred through optical/electrical coupled system to avoid electromagnetic interference.2.6 Perfect governor mode for Multiro-copter.2.7 Wide-opened heat-sink has the best heat dissipation effect.2.8 The firmware of the ESC can be updated through the built-in USB adapter in the Professional LCD Program Box.2.9 User programmable. 2.10 Multiple program methods supported: transmitter stick, Digital LED Program Card, Multifunction LCD Program Box, Professional LCD Program Box, PC software. Very easy to program the ESC at home or at the flying field.